We have information on our website devoted to camps for English as a Second Language (ESL) listed here: http://www.ourkids.net/esl-camps.php, which denote which type of camp it is and where it's located. In addition, you may like to use our Advanced Search feature that allows you search for camps based on criteria that's most important to you, including ESL programs, other activities that might suit your nephew's needs and interests here: http://www.ourkids.net/camp/camp-search.php We also have advice for international campers and families here: http://www.ourkids.net/blog/tips-on-summer-camps-international-students-19480/ that may be helpful in answering some questions about the application process, insurance, and other concerns. Contacting the camp(s) of your choice directly is also a great way to find out about their policies and how they can help make your camper as comfortable as possible. 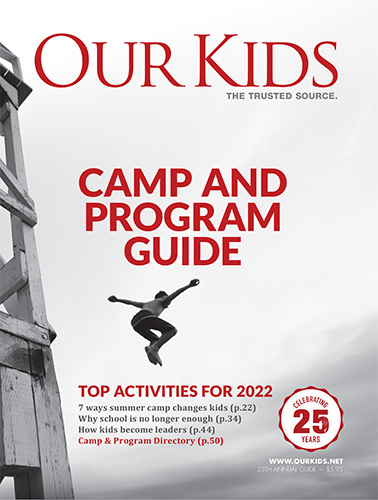 Attending the upcoming Camp Expo on February 22nd, 2015 is also an excellent opportunity to speak with many different types of camps face to face: http://www.ourkids.net/campexpo/ - many families find this a valuable resource to helping narrow down their camp choices and answering their questions. Looking for a home/school for a troubled teen who doesn't want to be apart of our family.